YouTube created its service in February 2005. Now it has become one of the biggest video-sharing platform and has won our love and respect. To be honest, it’s no exaggeration to say that it has an almost completed category of videos, such as tech videos, talk shows, reality shows, music videos, makeup tutorial and so much more. Thus, YouTube is also the platform of our video sources. In the meantime, the needs of recording YouTube videos is growing and increasing as well. 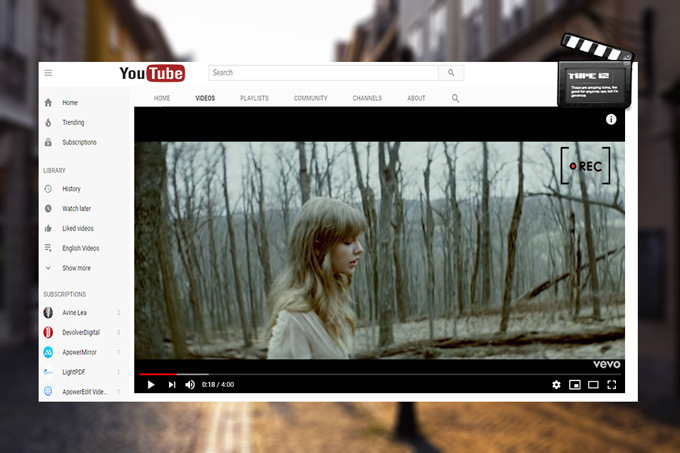 Now, let’s check out how to capture YouTube video with the following perfect screen recorders. Capture YouTube Video Right Away! Go to the official website of ShowMore. 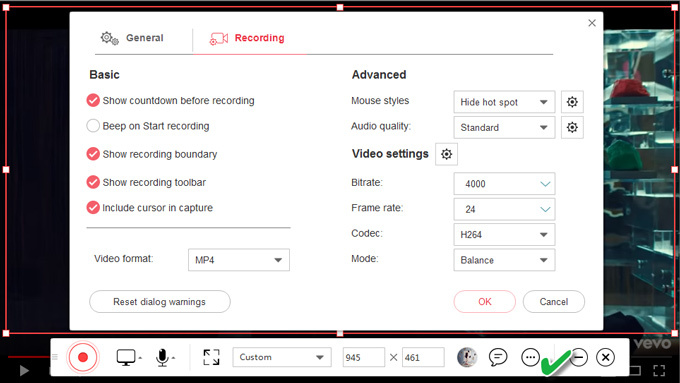 Click “Start Recording” on the main page. It will require you to download an online launcher to turn on the recording function if this is your first time to use it. Simply download and install this launcher according to the guidance is fine. Once the launcher is all set up, click “Start Recording” again. 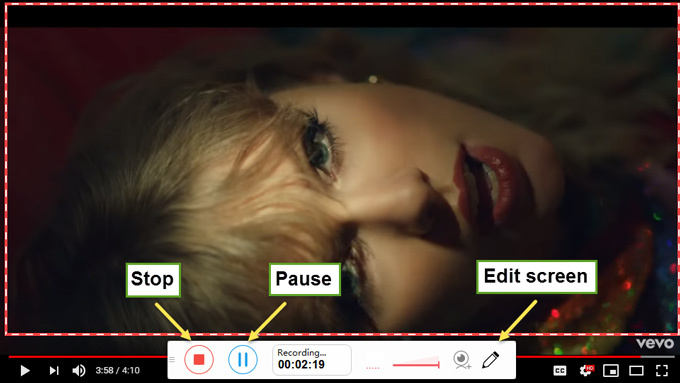 Now, open the YouTube video and drag the recording boundary to fit your video size. Also, you can choose the third icon from right side at the toolbar to adjust recording settings, such as mouse style, audio quality, bit-rate, etc. Click the first red button to start the recording. And you can opt for the web camera if necessary. 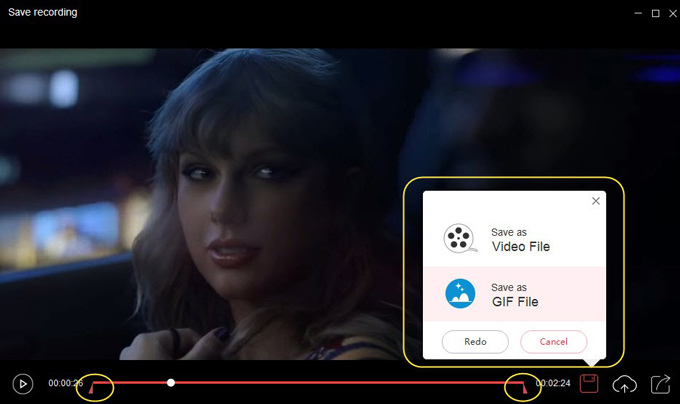 Once you have finished recording YouTube video on PC, a window will pop up and enable you to trim and save the video as a complete file or a GIF file. You can also check this tutorial to explore more usages of ShowMore. ApowerREC is quite different from ShowMore because it’s a desktop program and owns more professional functions as an awesome screen recorder for YouTube videos. Besides, ApowerREC has a powerful function which you definitely cannot resist: Task recording. This usage allows you to create scheduled recording task and follow a running application to record. Below are the steps of capturing YouTube video with ApowerREC. Launch the software and open the YouTube video. 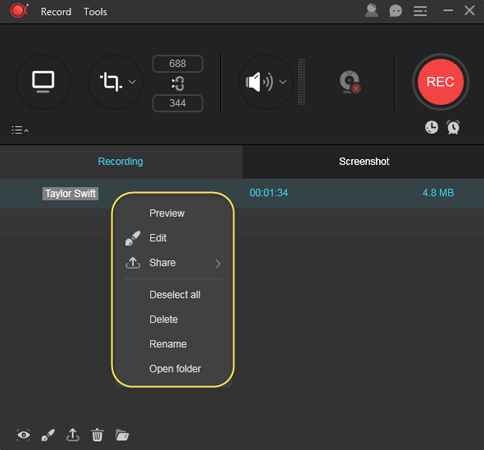 Click the red “REC” button to start the recording. You can also adjust the recording area, sound and camera before getting started. In the course of recording, you can use the built-in editor to mark or input text on the screen to make the recording more interesting. Moreover, a video screenshot can be taken by hitting the camera icon. And simply click the first two icons at the left side to stop or pause the recording. Once the recording is completed, you will see the recording list. Kindly right-click on your recording file to further edit the video, such as preview, share, delete, rename, etc. Above are the two recommended screen recording software for YouTube today. 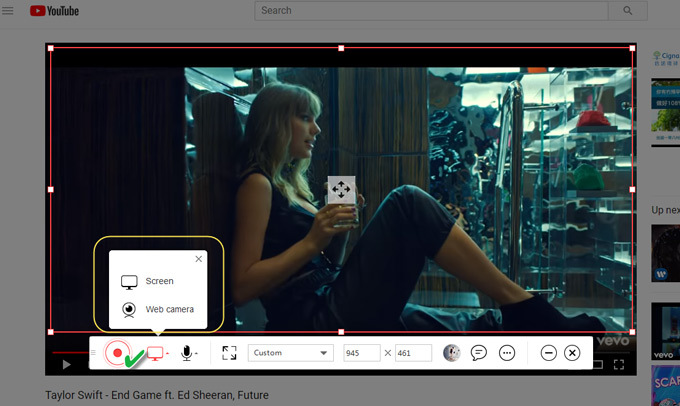 If you want to screen record the videos from YouTube alone, then, ShowMore would be the tool for you to finish the work nicely and quickly. And if you have more specific demands for the recording quality, ApowerREC can be the perfect software for you to take advantage of. Either way, you can capture YouTube video without much effort! Plus, these two programs can be used to do various kind of works, such as using them to record Overwatch on PC, record zoom meetings or take screenshot of your desktop, etc. You’ll know how practical they are once you get to try them yourself!